Whether you call it a lightning bug or a firefly or perhaps by its scientific name, Lampyridae, chances are you’ve had some experience with the tiny flying insect that flashes and blinks its way through summer evenings. And if you’ve been noticing more fireflies in your backyard this summer, you’re not alone. Lewis says the first thing you have to know about fireflies is that they live underground for two years before they hatch into the blinking bugs we associate with this season. And, she says, they love wet conditions, like those in the spring of 2017. That wet soil also makes it easier for eggs to hatch, larva to metamorphose, and adults to lay eggs for future generations — which could explain why the population seems to be booming. But Lewis also explained that despite the surge in certain regions this summer, fireflies are still in danger. Those changes include habitat loss and climate change. 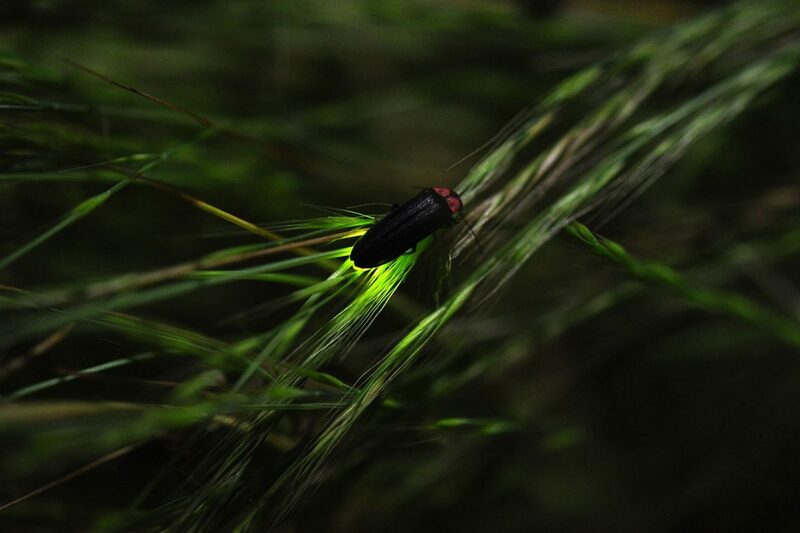 Fireflies are also threatened by the one thing that makes them so charismatic: light. I like your posts. I found out a lot from your article on Fireflies. They have always interested me and since we are under very dry conditions I do water some of the garden and bushes and grass in the evening because I’ve noticed that they seem to like to go to some of the areas I’ve watered with the hose. Now that I’ve read your article I think I know why there are always so many fireflies by a wetland area nearby and on fields that are irrigated. Thank you for this informative ,interesting article. The rising populations and spread of non-native earth earthworms may be part of it as well. Everyone in my neighborhood is seeing more and more of them each year and there isn’t a square inch of soil in my garden that the worms haven’t tilled! It wouldn’t surprise me if the fact that food is a lot easier to come by these days may be helping them as well as the weather conditions. over the years they have been sighted in our back yard in Niagara Falls Ontario Canada. Two weeks ago I observed one in my hallway at night. Most unusual. At first I thought it was the smoke detector flashing lights. Wrong location. But after careful observation two nights in a row I determined it was a fire fly. Almost magical as I was laying in bed. It has happened twice during the month of July.